A few thoughts here on this Friday morning. Agree, disagree? Sound of on twitter or in the comments section below. Freddy Adu: A great move for the youngster and for the Union. 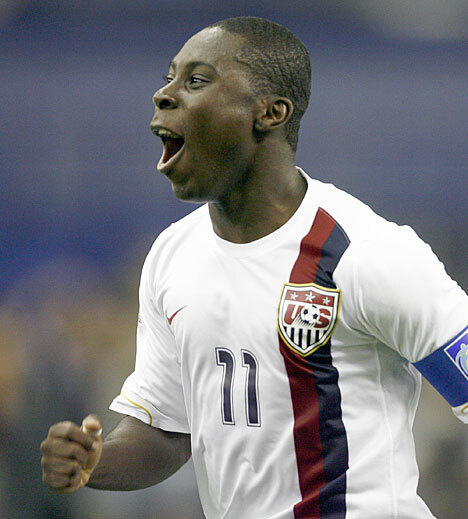 Freddy Adu signed with the Philadelphia Union as a designated player, reuniting him with former coach Peter Nowak. This move provides several things beneficial to both parties. For Adu, he finds stability, playing time and financial compensation. He also finds himself playing with a good team that will let him play his game. Adu has long struggled to find his place it seems Peter Nowak is willing to support that. Peter Nowak is also the only coach who Adu has really shined under. Consider this a win-win for both parties. And the Union fans of course. Chivas USA: what were you thinking? Letting a player like Adu slip by after already passing on several other big players is extremely perplexing. Owner Jorge Vergara didn’t want to pay the money Freddy Adu was asking for, but when have we ever seen Chivas willing to spend…anything. For a team that is second fiddle to the Galaxy but has dreams of its own stadium, one wonders are Chivas USA even serious about making themselves MLS contenders. Mind you, were talking about the Chivas management, not the players, who are likely just as frustrated. Word is they’re waiting for a Mexican player to spend DP money… hmph. Right. Unless a Dos Santos is available, I cant really figure out what they’re doing. Jesse Marsch was a fierce player. Think he'll bring Beckham to the Impact? Montreal Impact: well done in finding a quality coach like Jesse Marsch. The blue collar player will likely bring a blue collar attitude. I think Marsch has said the right things recently in acknowledging how much work there is to come. Marsch is taking steps to learn French and will be in an observational role with the NASL team. Impact fans can be excited about the future. We’ll know more though after the NASL season concludes. Brek Shea. I like this kid more and more. It seems though that we face a similar problem with him that we did with Landon Donovan: where do we put him? His talent is evident but is he a forward? An attacking midfielder? A centerback? No not a centerback. But with such personality and a fun style of play, we could see great things from him in the future. It’s taken a while for me to come around to his camp, but count me now as a believer. The NBC TV deal for MLS. Major League Soccer has just upped the bar. The 3 year deal allows for many more games to be shown on TV than ESPN has been showing and certainly pushes Fox Soccer to the back-burner. Reports are the FSC pushed hard for the deal but in the end it was NBC's vow to advertise the MLS in non soccer venues, something ESPN has been criticized for often. Without getting into too many specifics, this deal is fantastic for MLS. More exposure, advertising and a stable broadcasting partner when the league's popularity is only growing. My only reserve about this is what will happen to Matchday Live users? Matchday Live is a viable option for many MLS fans and it is a fantastic way to watch the many games that play at the same time. All in all though, the NBC deal is fantastic for MLS.